One lone mountain tells us a story of thousands of years and gives humankind the ultimate direction to the truth; Mt Sinai is the lighthouse for three Abrahamic religions now reveals answers to some ever unresolved Questions! Alas! It has been made subject to systematic misrepresentations and myths only because, uncovering this truth would place the prophethood of Muhammad [s] instrumental to justify the divine authenticity that uniquely would favour Islam alone as the final religion! 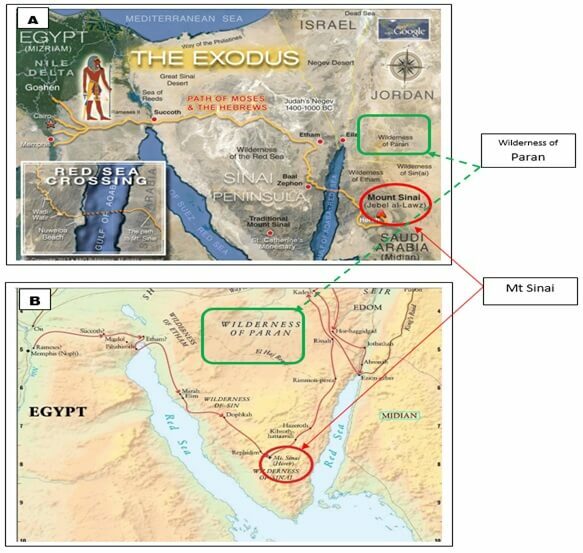 Consider these two maps from two sources both illustrating the Exodus. One locates Mount Sinai in Midian, Saudi Arabia [Map A] on the right side of Gulf of Aqaba [extension of Red Sea] and the other identifies the location in the presently known Sinai Peninsula in the historical Egypt on the left side of Red Sea [Map B]! Mt Sinai involves undeniable historical events, geographical features, time-frames, distances and religious documentations! Albeit all, Mt. Sinai, one of the most extraordinary icon of human history – has been the worst victim of lies and confusions in living memories! If Mt Sinai is located in the traditional Sinai Peninsula – it would mean – Bible has nothing to do with Prophet Muhammad [s]! But such is only attainable if a bunch of Biblical verses is considered false in respect to Exudes – one of the most violent histories of mankind on which Bible built its own platform of faith profoundly! Let us understand the simple fact that either of the two maps has to be untrue! The Track of the Exodus, p 87 lists some of the old authorities who claim that the Biblical references concerning Mt Sinai, Mt Seir, Edom and the land of Midian seem clearly to indicate the region east of the Gulf Akaba as pointed out by Beke(1834), Wallhausen(1886), Sayce(1894), Moore(1895), Shede(1897), Gall(1898), Gunket(1903), Edward Meyer(1906), Schmidt(1908), Gressmann(1913), Haupt(1914) and by Alois Musil in the ‘Northern Hegaz (1911) etc. Current archaeological evidences have been increasingly building up on the Mt Sinai [Mt Horeb / Jabal el Lawz]; that is located in Midian and not in the traditional Sinai Penensula! The misrepresented Mt Sinai in Sinai Peninsula does not enjoy Biblical support on one hand and loses the support of recent archaeological evidences on the other hand! No one is now able to refute all new upcoming suggestions discovered in support to the Mt Sinai i.e. Jabal el Lawz in Midian site! Interestingly, the traditional Sinai Peninsula in Biblical description does not have the name of Sinai Peninsula – Biblical description identifies it as the wilderness of Red Sea and not as Sinai Peninsula! 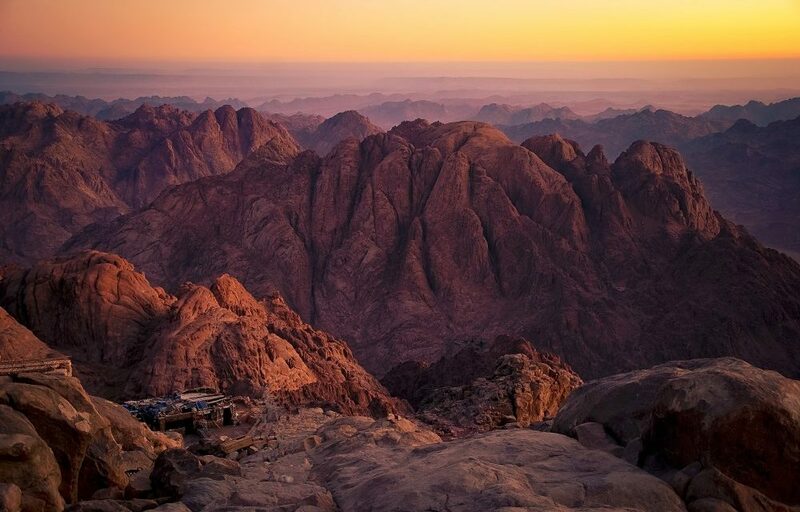 Biblical records suggest that Mt Sinai is essentially in Arabia and certainly not in Egypt [Galatians 4:25]. The Mt Sinai, or the Mountain of God of Burning Bush was one that is located in Midian [Ex3:1] and this is the same mountain in that Mosses [s] received the Tablets from God later after he delivered Israelites in complete safety from Pharaoh [Exodus 31:18, Exodus 34:32, Leviticus 26:46, Leviticus 27:34, Nehemiah 9:13]! When the Israelites first arrived at Mt. Sinai, Moses struck a rock at Horeb to provide water for the multitude (Ex 17:6). They then spent 11 months at the holy mountain before breaking camp and moving on to Kadesh Barnea. 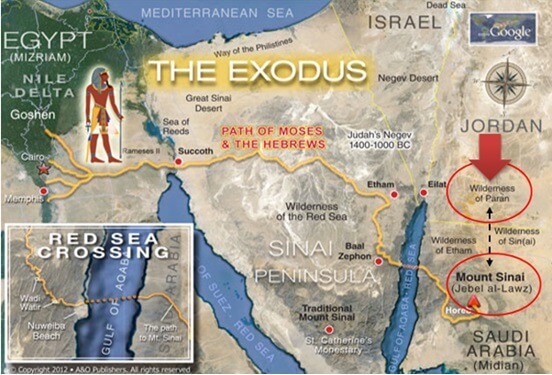 The pillar of Egypt’s boarder in relation to the Exodus [Isaiah 19:19] has recently been discovered. On site – of many other evidences – the piles [5ft x20ft at 400 ft spacing] of consecrating the Mt front [Ex19:23], the Golden Calf Alter, Moses’ alter, split rock, 12 pillars, Cave of Elijah [1King 19:8-9]– these all are intrinsic evidences of Exodus only to be found at Mt Sinai [Mt Horeb/ Jabal el Lawz] location in Midian in current Eastern Saudi Arabia! These and many more are certainly undeniable truths in history! Could these features locate in the so called Sinai Peninsula as shown in Map B that was under active military dominion of Pharaoh explicitly when they account for so many activities for stretches of very long time in the face of a chasing Pharaoh with enormous power hurtling and racing to overrun the helpless crowd Mosses possessed with no defence? Receiving Tablets from the Burning Bush phenomenon and the Golden Calf episode in history are known to all; it took Mosses forty days! In his own land, the mighty Pharaoh with headlong chase missed his defenceless sworn enemy which entirely challenged his authority and caused endless torments in his entire kingdom! Yet Pharaoh even could not contact him in combat for forty days despite the historical hot pursuit known to everyone! Such excuse is absolutely laughable! More so, the multitude engaged in months’ together camping in the same site until their final journey began! All these are impossible notions in so called Sinai Peninsula for very geo-strategic reasons! 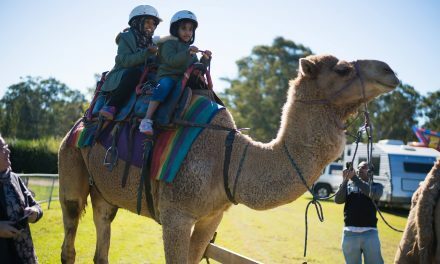 It means – these events never took place in that so called Sinai Peninsula! Instead, the safety to the mob essentially came from another territorial protection separated by a natural barrier [Gulf of Akaba; extension of Red Sea] where it was not easy for Pharaoh to take Mosses by storm! Mt Sinai was essentially not in the so called Sinai Peninsulas in Egypt; that was a name for it; given for some deliberate reasons much later and long after Biblical documents were in place! One can understand using common sense that the so called Sinai Peninsula could not home the Mt Sinai if exodus and the nature of events are taken to the account. Biblical verses already cited do not allow Mt Sinai to find its location in Saini Peninsula and only in Median! Archeologically now, Mt Sinai in Median has profoundly been established by now with no refuting evidences! Thus it gives rise of a very valid question: What is important about the location of the Mt Sinai? The moment you identify the location of Mt Sinai, the consequential placement of Paran becomes just evident! This establishes the Prophet of the Seal – Muhammad [s] as an essential subject for three Abrahamic Religions – Judaism, Christianity and Islam! If one can deny the true location of Mt Sinai, one can play mischief with the true location of Paran and thus can have an effective tool to deny the Biblical [Old & New Testaments] foretelling of Prophet Muhammad [s]. This is the reason that a class of Jews and Christians monastery had to work systematically even by going against all the Biblical references merely to deny the real site and justify a false location of Mt Sinai! The traditional Sinai Peninsula thus found home for Mt Sinai as an antithesis to the relevance of Prophet Muhammad [s] in the hands of Judaism and Christianity! To understand this we need to understand Paran [Faran] in true value. Paran is the place where Abraham left Ismael and where the miraculous spring gushed out wondrously! The spring is known Zamzam and we know it from Bible as Hager later got a wife for Ismail who dwelt in Paran [Gen 21:21]. It is the place where he [Ismail] and his father built the House of Lord – the today’s Kaaba in the city of Bakka that later on was named Mecca! This means, the wilderness of Paran is essentially located in Mecca centric part of the ancient Arab! Mecca is also – as we know, the birthplace of Prophet Muhammad [s]! Now let us analyse some famous verses in the Bible: Habakkuk 3:3 tells –“God came from Te-man and the Holy one from Mt Paran!” Investigations reveal that Te-man is the biblical name of the city of Yathreb currently known as Medina while Paran is Mecca! The political and religious authority of Muhammad [s] emerged from Medina, the Te-man while the he was forced out from Mecca the Paran! What these two entities mean – the Holy One and God in respect to the two places called Paran and Te-man? In Te-man [Medina] – Muhammad [s] could use his authority to establish God’s rule while when he was forced out of Mecca, Paran, he did not have such authority despite he received revelation from God, however, he was reputed to all as the Holy One [al-amin – the Trustworthy]! None of the prophets in history had such extraordinary faculty that ingrained very deeply even into the hearts of the enemies of Mecca! Muhammad [s] was the holiest one in who every disbeliever trusted even with his golds and treasures despite there was a war of faith reached to the peak! But there he did not have a status of ‘God’ i.e. 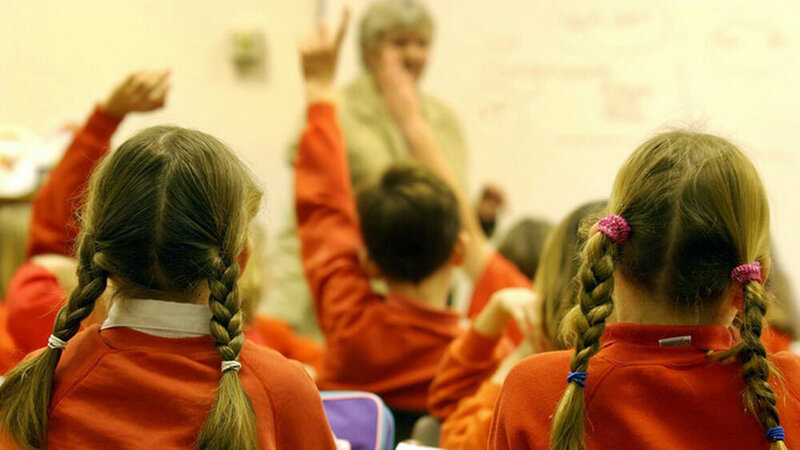 Authority to implement Divine orders! In Mecca, he was not a God; only the Holy One; his position rose to of ‘God’ in Te-man where he had Kingship – authoritative territorial control. This is an established history! His state of holiness prevailed even at the limit of enmity! There is no such example on earth! Despite he was from Paran and revelations took place in Paran, yet, GOD’s commandments he brought out for the world was Te-man, the City of Medina! This reflection can be validated with Deuteronomy 33:2! And he [Moses] said – Lord came from Sinai and rose up from Seir unto them; he shined forth from mount Paran and he came with ten thousands of saints: from his right hand went a fiery law for them! Here two words are important – ‘Lord’ and ‘he’! The word Lord is unerringly to mean God [GOD] while ‘he’ is no more the GOD himself [not in capital letters as per bible rule, it is not God]. Now the entire italic part of the verse [Deut 33:2] from Paran or Faran or Bacca or Mecca – it was all about Prophet Muhammad [s] who brought a fiery law for Mankind and with his ten thousand saints [companions] he conquered Mecca in 8th of Hizra year! The Duet 33:3 tells us – ‘he loved the people’! Despite the previous bloody incidents by people of Taif and Meccans, he as a king now returning home after conquering it with unchallenged might did not take a single revenge on persecutors who subjected him in Siab-e-Abi Taleb for long three years without food, cutting off water supply and so on – a type of oppression the history of mankind never recorded before or even after still! Now instead, he declared the day of victory as the day as Day of Forgiveness! Human history never saw such compassion till to date! In history – it is the only victorious occupation of a land by war that was without a drop of blood! Surprisingly, so much revenge was due and so compassionately it was forgiven! This is his love for people even though they were enemy! Every one of these ten thousand was in receipt of ‘thy [God’s] words’ as history witnessed! The count of Ten Thousand is a critical yardstick in the history; it was only recorded in case of one single person in the whole human history! Only Prophet Muhammad [s] is recorded to have 10,000 followers with him when Fathhul Mecca – the founding victory of Islam took place! The Solomon’s Song records in 5:10 – ‘My beloved is white and ruddy, the chiefest among ten thousand’! The white and ruddy is the perfect description of Prophet Muhammad [s] while the indicator of ten thousand is crucial for Bible itself as there is simply no explanation for that for any biblical figure what so ever! This number also occurs in some other religions that has been profoundly established now that it indicated only the last Abrahamic Prophet and the last Messenger of God to mankind! “And I will shake all the nations, and the HIMADA [the praised one] of all nations shall come [Haggai 2:7]. The glory of the later house [Kaba in Mecca] is greater than the former [Haggai 2:9]” – former house being the House in Jerusalem]; Kaba today attracts more than 20 million people every year for Hajj and Umrah]! “In this place [later house] I will give SHALOM, [Haggai 2:9]; shalom in Hebrew uses the same root of the Arabic word Islam! 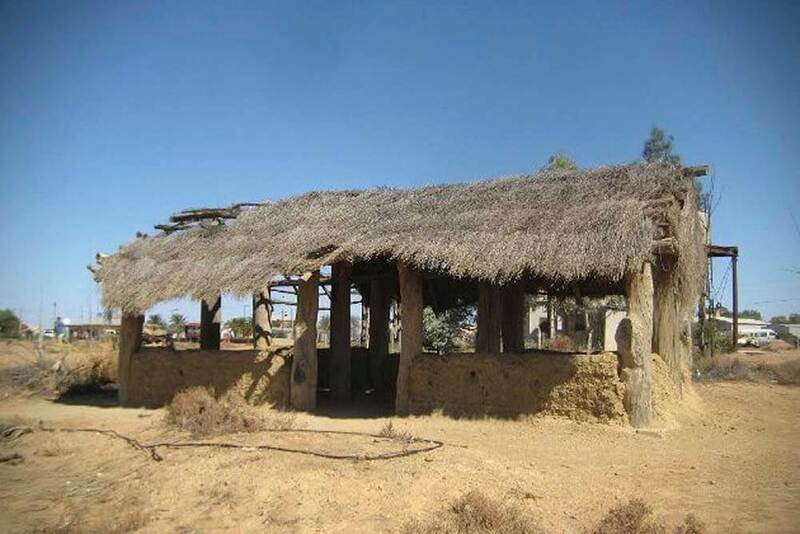 I will fill this house with glory [Haggai 2:7]. None in this world has doubt as to how God Almighty filled the House of Kaba with glory; there is no single example in existence that is by any proportion can even be near to Kaba! His ways are everlasting (Habakkuk 3:6]”! How everlasting Islam is? If all the Bibles and all the Qurans on earth are burnt today with not a single copy left for both – Christianity will die! Such an event will obliterate bible from the face of earth! But this is not the case with Islam; the way of Muhammad [s]! Right now, you will find, more than 100 million Muslims who committed the Quran in heart can reproduce the entire Quran unerringly forthwith! Such has been the case right from beginning! The entire Quran can be reproduced unaltered from the human memory at any given time! Nothing can take out Quran from the human record and human history ever! It is ever lasting!! No Judaism no Christianity is everlasting as opposed to Islam! Does Bible have to do anything with Muhammad [s]? It is Muhammad [s] who is the spirit of truth; who finalized religion and after who, there is no guidance; yet he never ever speaks of his own; he speaks from revelations [Q 53:3-4]! John 16:13 revealed the fact of Muhammad[s] long before! Mt Sinai is the beacon of history, the lighthouse of direction to all Abrahamic Religions that testifies Muhammad [s] and guides to the unity of truth – “The same single religion He has established for you as that which he enjoined on Noa the which We sent by revelations to thee and that which We enjoined on Abraham, Moses, and Jesus; that ye should remain steadfast in the Religion and make no division therein! (O Muhammad) the unity you call to, it is hard upon those who associate. God chooses to Himself everyone who is willing, and guides to Himself everyone who turns to Him for guidance [Q 42: 13].